Hotel Agra Ashok Agra, Agra Ashok Hotel Agra, Reservation for Hotel Agra Ashok, Agra, India. 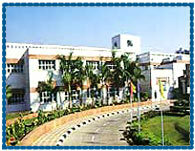 Address: 6-B, Mall Road, Agra, Uttar Pradesh -282001, India. Accessibility: 6 kms. from Airport, 3 kms. from Railway Station, 2 kms. from Bus Stand. Hotel Agra Ashok is centrally located in the historic city of Agra, run by the Ashoka group of hotels. Hotel is reminiscent of the ancient Mughal splendour still alive in its marble work and the intricate designs. 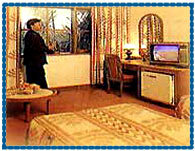 It is well equipped with all the modern amenities and offers warm hospitality to tourists travelling to Agra. Restaurant, Bar, Conference Facilities, Swimming Pool, Doctor on Call, Health Centre, CTV with Satellite Connection, Shopping Arcade, Money Exchange , Safe Deposit Lockers, Book Shop, Coffee Shop, Restaurant, Secretarial Service, EPBAX Telephones.